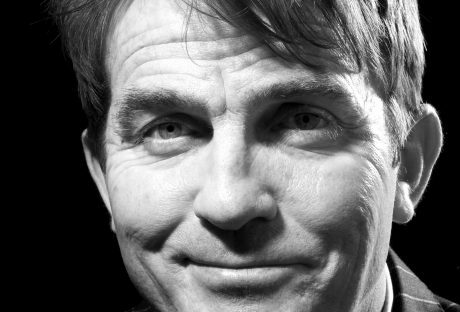 Bradley Walsh was once signed to Brentford FC and scored the winning goal in his opening match securing him a two season contract with the club. However an unfortunate injury ended his football career. Starting in the world of entertainment as a Blue Coat for Pontins, his first big break came in 1993 when he appeared on The Royal Variety Show. Through his popularity on the show he became a regular on programmes including Des O’Connor Tonight, Parkinson & The Jonathan Ross Show all while performing at a series of sell-out tours across the country as a stand-up comedian. Leaving stand-up comedy to the side for a while, Bradley turned his attention to acting and has since become a household name featuring in shows including Coronation Street, Torn, Old Curiosity Shop, Law & Order UK, Sun Trap and Doctor Who to mention just a few titles. As a presenter, Bradley has hosted a number of shows such as The National Lottery, Odd One In, Big Stage, Shoot the Messenger, Sports Addicts but is probably best known for presenting the hugely popular quiz show, The Chase. A fantastic presenter and comedian with the gift of humorous observation. Bradley Walsh is a certain crowd pleaser no matter what the audience profile may be. To enquire about or book Bradley Walsh for your event contact Arena Entertainment. Either send an email to info@arenaentertainments.co.uk or speak to one of our booking agents on 0113-239-2222.